This complete engine management system for the BMW S54 engine controls all the standard engine parameters including the double VANOS system. The package comprises an SC Delta 800 ECU and modified BMW engine wiring loom (as an exchange). The ECU is pre-mapped for the standard S54 engine, modified engines will require remapping to optimise the power gain from those modifications. The wiring loom is provided on an exchange basis only, a useable S54 engine loom must be provided. Lead time on this product is typically 2-3weeks. For Drive by Wire throttle installations we advise the use of an E46 BMW electronic throttle pedal. WIth this kit, you must provide the connector from your throttle pedal for integration into the wiring harness. 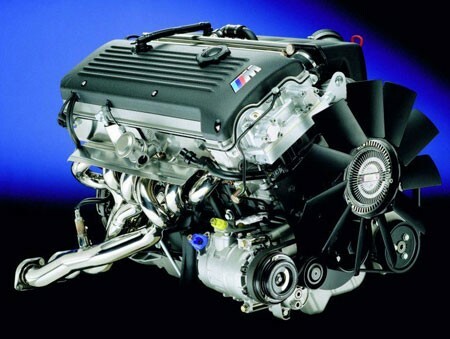 The Dyno graph compares a standard E36 M3 S50 engine to an S54 engine fitted in the same car fitted with the Typhoon engine management kit.